This is an 11" 16 shoe Spartan with a curly maple silverspun rim and a Whyte Laydie tone ring. 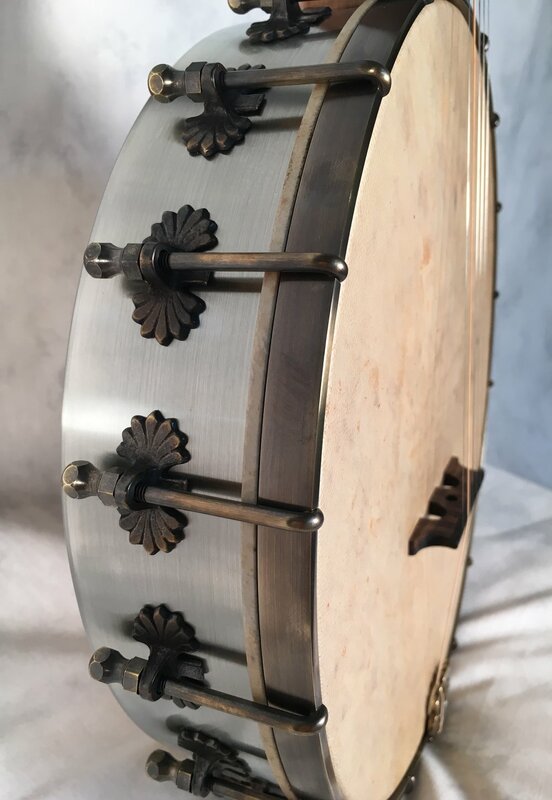 The brass and bronze rim hardware is antiqued, with a tea stained goat skin head. The neck wood is curly roasted maple, with an ebony fingerboard. 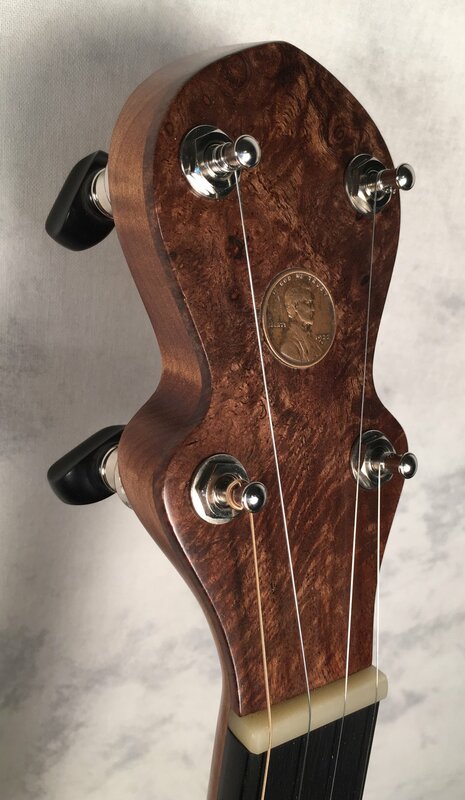 Clown style peghead with a walnut burl overlay and a 1922 Lincoln penny. This banjo is headed to Pocatello, ID.